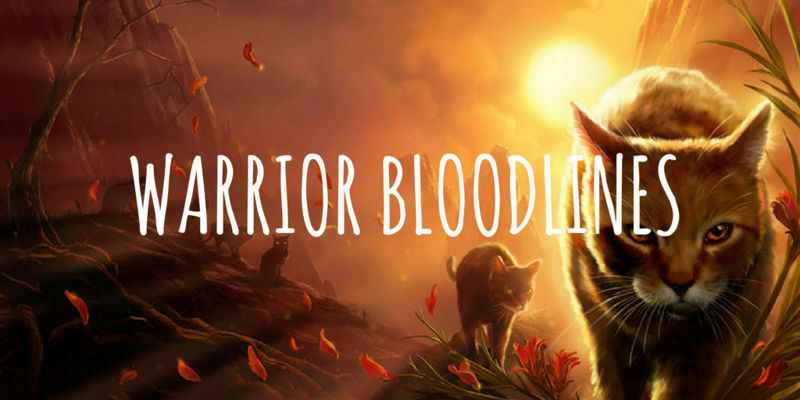 Everything you need to know about the Warrior Bloodlines universe. PLEASE READ BEFORE POSTING! The rules of Warrior Bloodlines. PLEASE READ BEFORE POSTING! Unsure about anything on WB? Ask a member of our friendly community here! Do you have any ideas to help us make the site better? Let us know! Announcements for sitewide plots and any important information from the mods and admins. Introduce yourself, or, if you will be gone for an extended period of time, let us know here. Create your characters here. Once they are approved, you're ready to roleplay away! Need parents or a sibling for your cat? Or do you want kits or a mate? This is the place! Neutral territory in the middle of the forest. This is where the Gathering is held every full moon. A clearing in the middle of WoodClan's vast territory. It is protected by gorse walls on all sides. WoodClan's huge territory, mostly full of tall, spindly, bare trees, with brambles and rocks throughout. Located on an island in the middle of LakeClan's largest lake. As few cats outside of LakeClan are confident swimmers, they are usually very well defended. Consists of a cluster of small lakes, connected by streams, as well as the forest surrounding them. It is often sunny and warm here. The smallest of the territories, and always muddy and wet, but with the richest and most varied prey in the forest. The camp is positioned in the middle of the small territory, and is largely bare, save for the rocky dens around the edges and the two great oak trees that stand in the middle. A large clearing filled with dips, hills and brambles, along with a tree or two. The edges are surrounded by thick, large trees, making good defense. Located in a grassy dip in the clearing, and surrounded by a few brambles. Kits and elders sleep under the brambles, but warriors and apprentices sleep out in the open. A dense forest with thick trees, rich undergrowth and a leafy canopy. 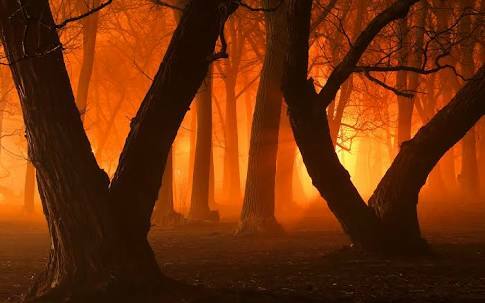 Little sunlight hits the forest floor, leaving it quite dark in most places. Located in a small clearing in the dense forest, but the surrounding trees reach over, providing a canopy over the clearing. Because of this, warrior and apprentices sleep in the open, while kits and elders sleep in dens. All the Clans' place to communicate with StarClan. Leader ceremonies and medicine cat ceremonies take place here. Small Thunderpaths run in great numbers here, and Twolegs roam the place constantly. This is the home of most rouges and pampered kittypets - it is no place for a Clan cat. Apprentice ceremonies for all clans held here. Medicine Cat Apprentice ceremonies for all clans held here. Warrior ceremonies for all clans held here. Medicine Cat ceremonies for all clans held here. Deputy ceremonies for all Clans held here. Leader ceremonies for all clans held here. If it doesn't go anywhere else, post it here! Play usergames like the word-at-a-time story with fellow users here! 2 43 Yum or Yuck? Have you drawn, made or written something? Post it here! Chat to others about your favorite movies and TV shows! Share those sweet, sweet tunes you love with your fellow roleplayers! Plan plots for your characters here, or even suggest ideas for sitewide plots!